Booker did not waste anytime settling into his new digs with Lorette and Cam. 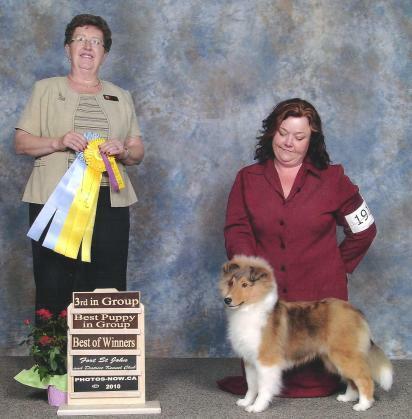 Bookers first weekend out he wins the Breed and a Group 3rd and Puppy in Group. Wow! What a start to his promising show career!